UHMW (Ultra High Molecular Weight Polyethylene) and PTFE Sheet (PolyTetraFlouroEthylene) are very similar materials, and yet very different at the same time. They both possess certain characteristics that make them similar to each other. For instance, they both have a very low co-efficient of friction, which means they are great for sliding applications and are easy to machine. Both of these materials are very resistant to chemicals such as chlorine and some acids and have great wear resistance. They have low to no water absorption. They also are FDA approved for handling food. 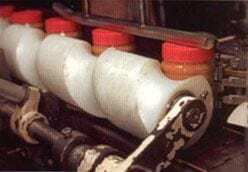 PTFE and UHMW Polyethylene are both nearly impossible to bond (without treatment) and are susceptible to sagging under tensile load which is called ‘creep’. 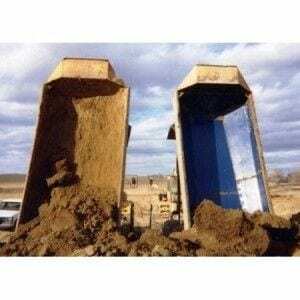 These both have very low coefficient of friction and work well for wear strips, slide pads and truck liners to make it easy to empty. These two materials are different in many ways also, and choosing between the two materials for a specific job is critical. Below are a few examples of how these two materials are different. 1. UHMW is a polyolefin and PTFE is a fluoropolymer. Polyolefins are double bonded carbon while Fluoropolymers are carbon and fluorine bonded. UHMW is a monomer which is consisted of one atom that will bond with another to form a polymer. PTFE is a polymer which is made up of a repeating chain of monomers. 2. PTFE has a higher temperature range than UHMW. The PTFE has a continuous use temperature of 500 degrees F. UHMW is much lower with a continuous use temperature of 200 degrees F and a melting point of 271 degrees F. The UHMW starts to become become soft at higher temperatures while the PTFE is much more resistant and with a melting point of 621 degrees F.
3. UHMW has higher abrasion resistance than PTFE. Both have great impact and wear resistance but because of UHMW having a molecular weight between 2-6 million making it the best wear resistance material in the plastic family, it makes it ideal to take wear and impact over a wider range and longer period of time without losing its properties. 4. UHMW has a much lower density than PTFE. This makes UHMW able to float in water while Fluoropolymers are significantly heavier (almost twice the density of UHMW) and would sink. 5. 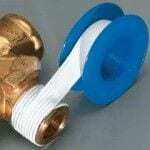 PTFE has excellent electrical and thermal properties. The virgin grade of PTFE is a better insulator and exhibits better electrical properties which can be used in radio frequencies, cables and circuit boards while UHMW cannot. 6. UHMW is much less expensive than the Fluoropolymers. Especially recently, PTFE has become harder to come by, and during the last 18 months there has been a global shortage of a key raw material called fluorspar that is used to make all Fluoropolymer materials. The ability to take lots of wear and tear and requiring low long term maintenance makes UHMW more cost effective. 7. The standard color of PTFE is Natural, which is a dense white. The UHMW comes in Natural (a deep milky white) or Black. The UHMW can be produced in many colors, and minimums are rather low. To obtain PTFE in colors is much more difficult, and would also have large minimum orders. Both the UHMW and the PTFE are available as sheet, sheets, sheeting, slab, bar, strip, panels, film, round rod, rods and block. Contact us for assistance with these or other shapes. 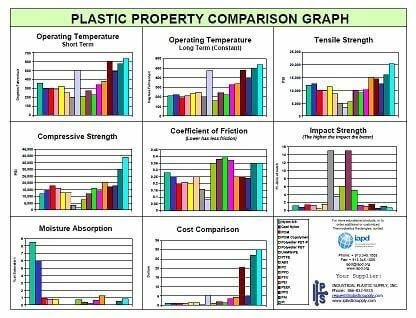 These are just some examples of plastic materials being similar, and yet having very different properties. 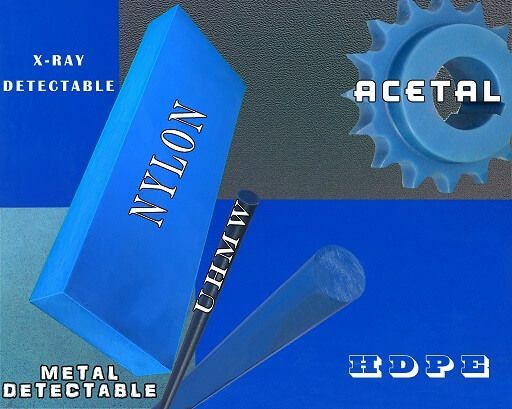 The PTFE Sheet and UHMW Sheet may appear very similar in color and can be used for some of the same applications, but when needed for a specific use or property needed, one might be dramatically better than the other. As the old saying goes, “You should never judge a book by its cover” and the same is true with plastic. Review the properties and test prior to choosing a final material for your application. Call us for further assistance at 866-832-9315, or click here to contact us with your questions. Additional Information About UHMW Sheets or Rod Here.